Tis the season to spread the Holiday cheer! Who couldn’t use a little extra cheer this time of year? And what better way to do that, than with cookies?! We’ve teamed up with the good folks at Ralphs to spread that cheer and help inspire you to spread cheer with the Ralphs #CheerChallenge! 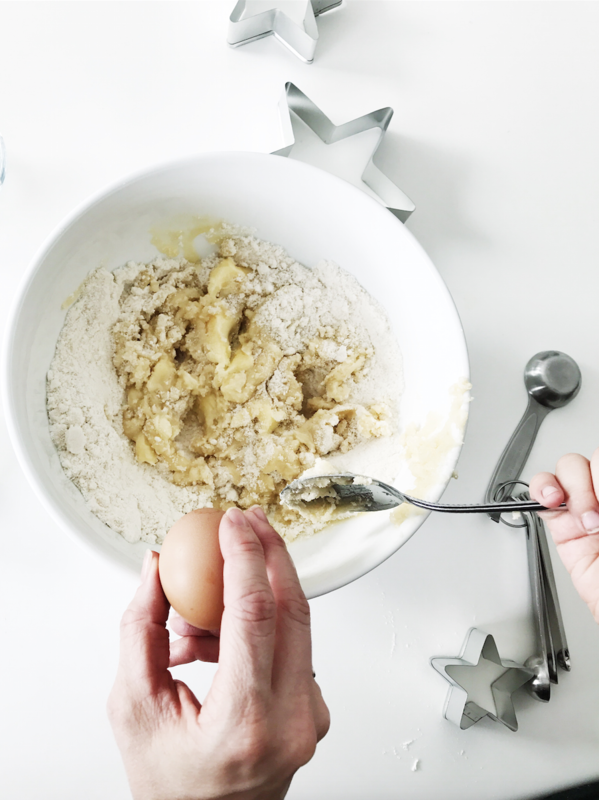 They asked us to whip up a delicious cookie to surprise and share with someone we love and show you how we did it! This was the perfect opportunity to get my little lady Londy Loo involved. She was thrilled when I asked for her help. Kids love to help! 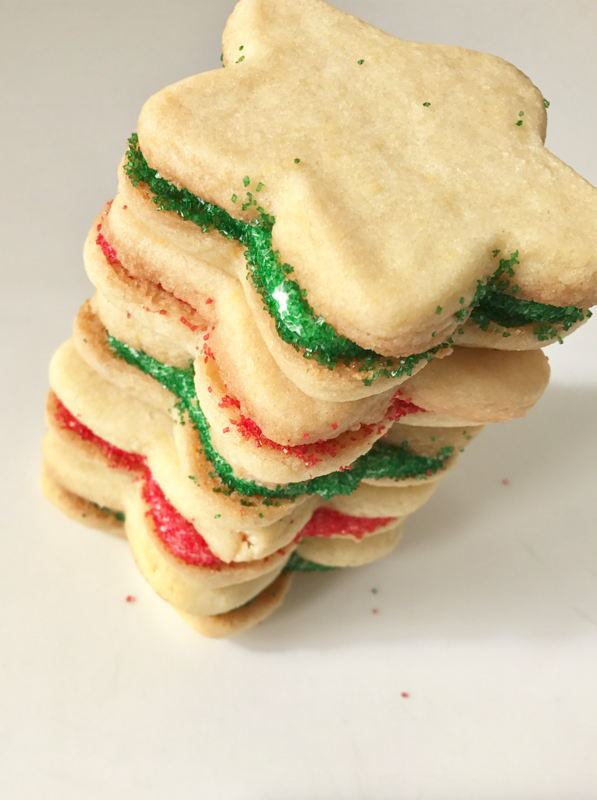 So we went on down the the neighborhood Ralphs and picked up all the ingredients to make these Sugar Cookie Sandwiches. You can get involved by checking out the 25 Merry Days Cheer Challenge here! What we got, what you need! 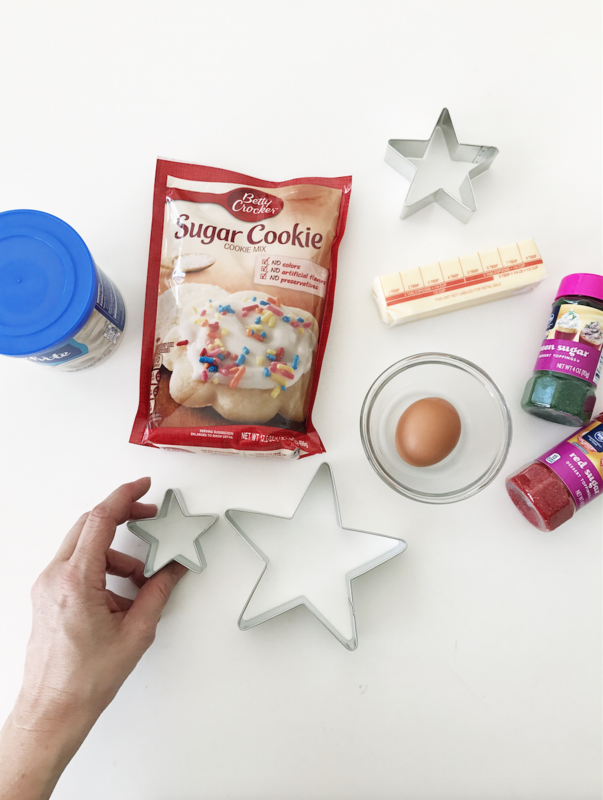 Ingredients to make sugar cookies, we opted for the super simple cookie mix, sometimes with the craziness of the season, it’s okay to simplify and add your own creative spin, so that is what we did. But feel free to make the dough from scratch if that’s what floats your Christmas boat! 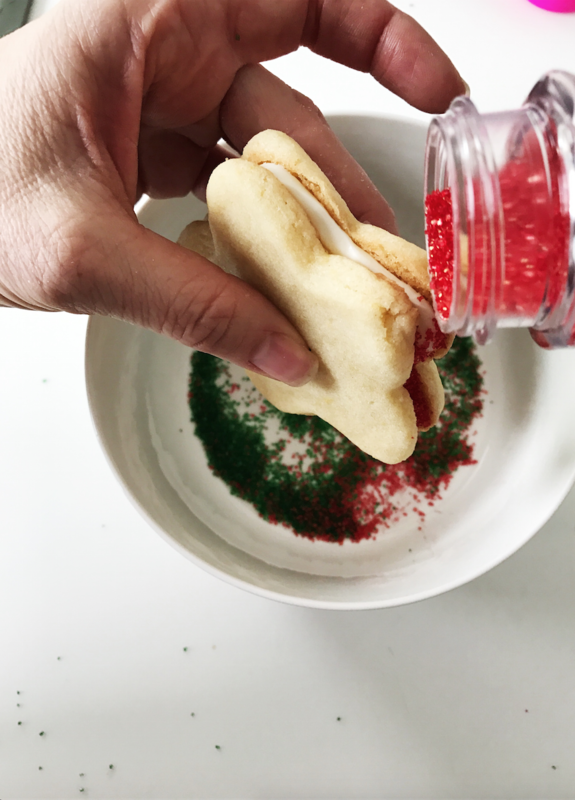 Then we got some frosting, butter, eggs and some sugar sprinkles in red in green. 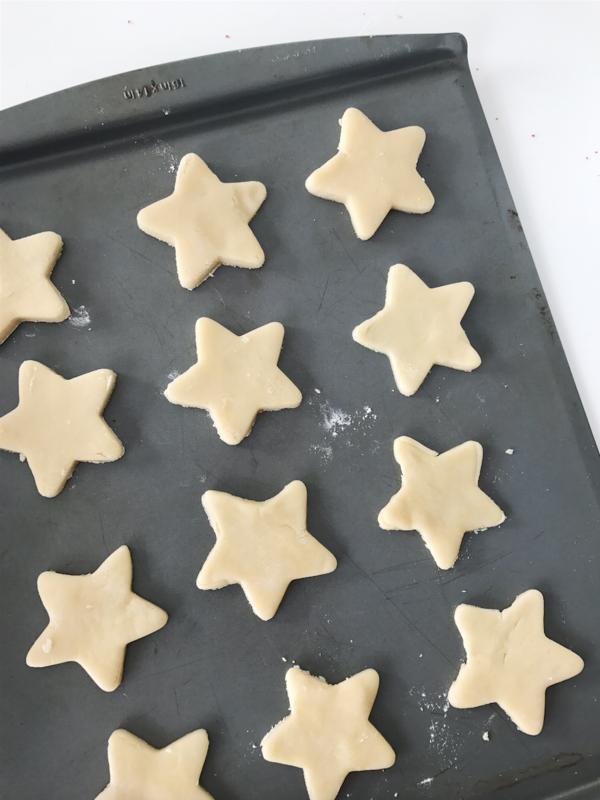 We had some cookie cutters on hand and decided on a star to keep it festive! You can choose your own adventure here! 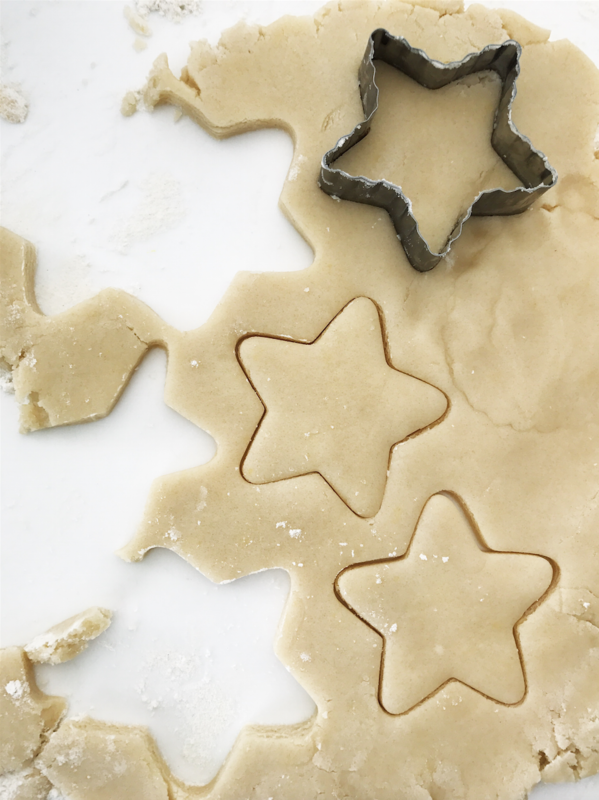 Additional things you may want to use, some flour and a bag for frosting. We quite simply followed the directions on the back of the cookie mix. Of course Loo wanted to be front and center on the action. 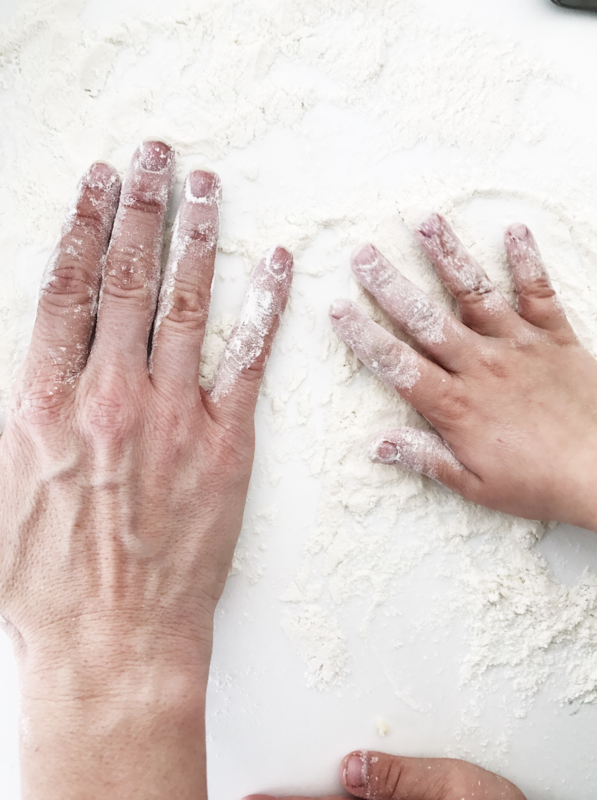 Letting kids help sometimes can slow down the process, but we think it’s worth it to allow them the experience to try something new, as well the chance to spend quality with them. So I let her mix while I cracked the egg! 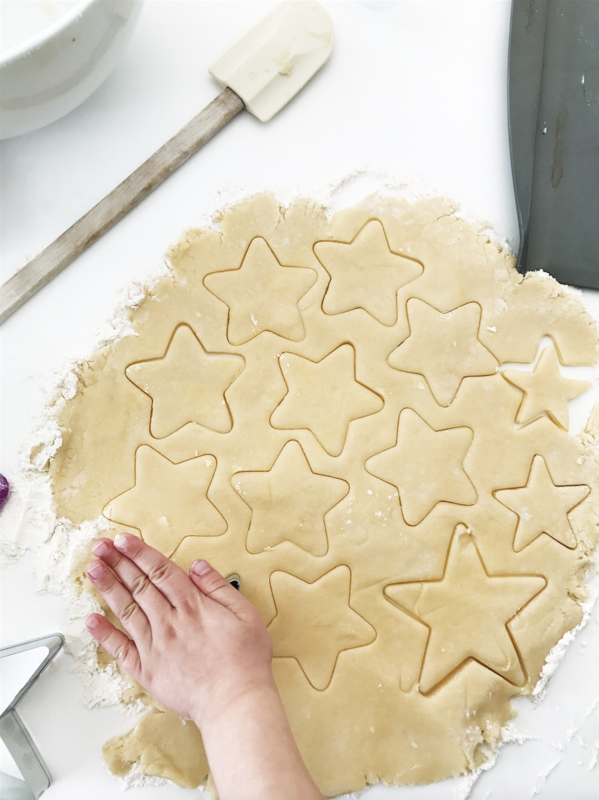 Once the dough was all mixed up, we each grabbed a handful of flour and tossed it on the counter and spread it out to put our cookie dough on to roll out so we could start cutting out our stars. Here come’s the fun part… or at least one of the fun parts! We loved making these together. 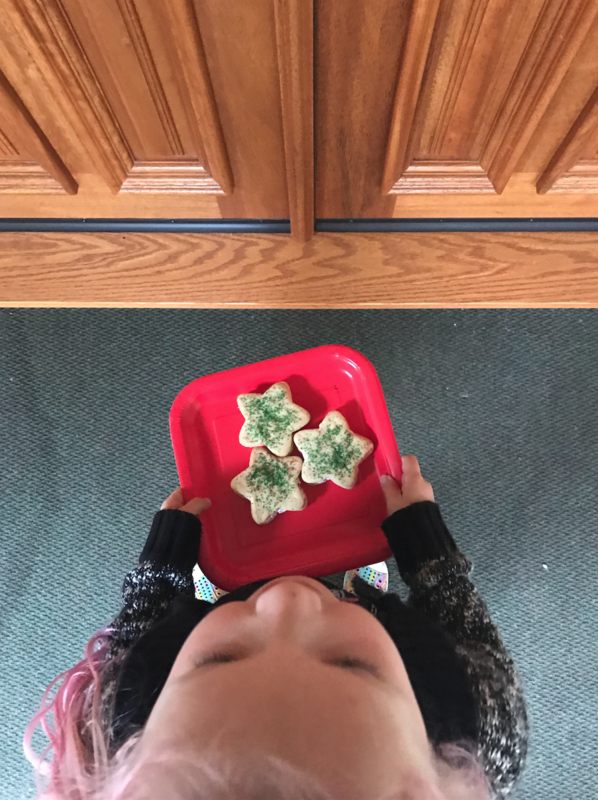 This was probably London’s favorite step as I gave her the cookie cutter and let her go to town cutting out loads of festive stars! We then CAREFULLY removed the excess dough around them and transferred them to the cookie sheet! We then put them in the oven to bake at 400 degrees for 5-7 minutes. 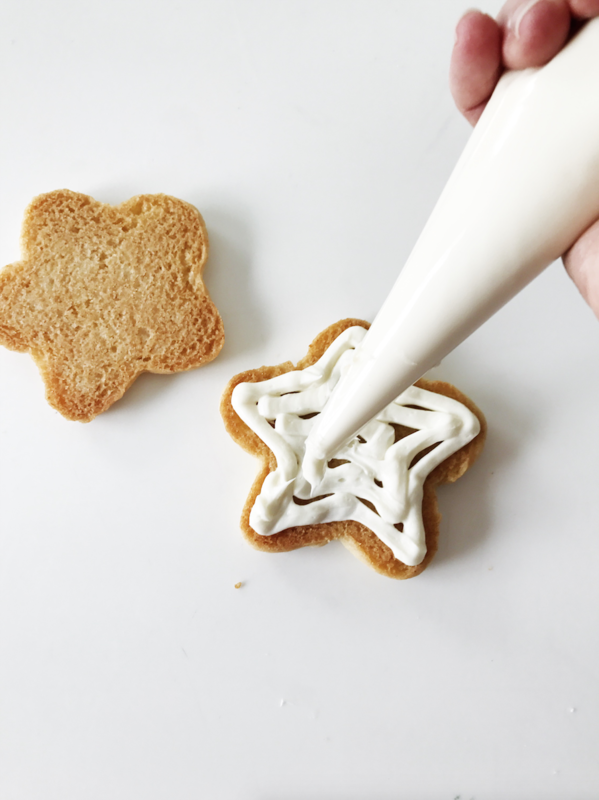 One they were baked and cooled down, I grabbed a frosting bag, (you can also make one out of a sandwich bag) And then filled it with frosting and then flipped one of the cookies over and filled the star with a good layer of frosting. 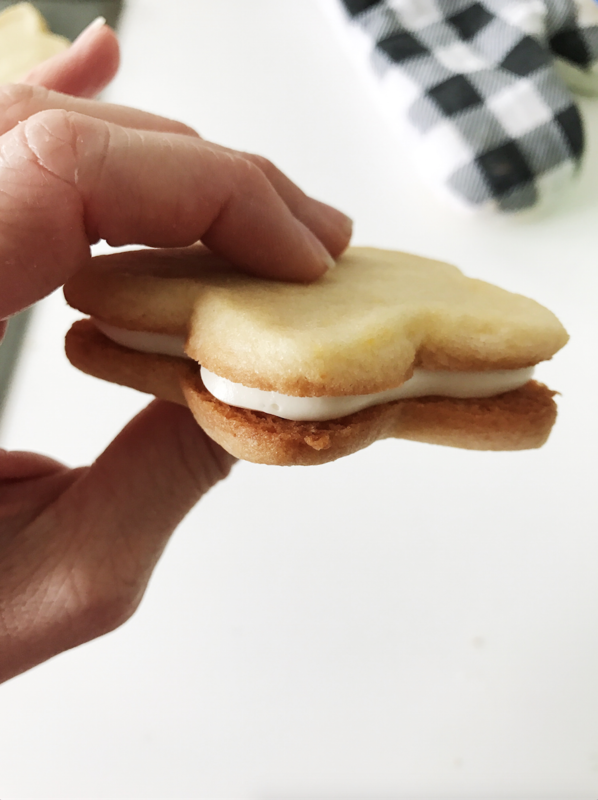 Then I quite simply, put two together, creating a darling little star cookie sandwich! Then they were done and we put some on a paper plate. London of course wanted to add a few more green sprinkles to the tops. Then they ready to be delivered! London and I rushed over to a one of our sweetest neighbors house Judy. We see her everyday as we are loading up to go to school. She always takes time to come and give London a hug and make her feel special. Loo stood at the door with cookies in hand and knocked on the door. She was so excited. It was the cutest. Judy opened the door to see London beaming from ear to ear. She gasped and a huge smile spread across her own face, she bent down and gave London the best hug. Boom! Cheer! 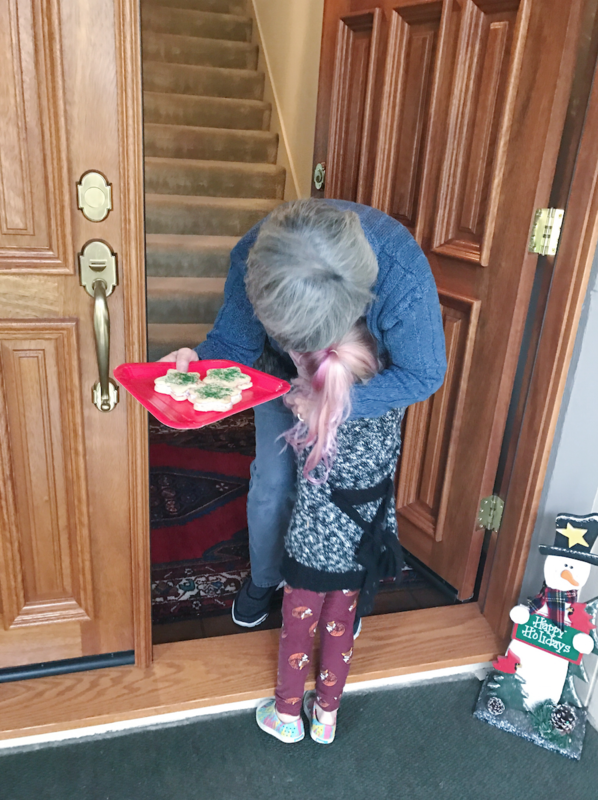 So much cheer, not just for Judy, but for Londy Loo, and for me to stand back and watch her deliver the cookies she helped make to someone we really adore. It really was sweet and joyful and felt good. Of course London wanted to come home and make more cookies for the rest of the neighborhood. All in all, the challenge was a big success, and hardly a challenge at all. Like I said, it’s okay to keep it simple! We have a new baby in our home and lots going on, and sometimes it’s easy to overcomplicate doing something kind for someone else and then never make it happen. Instead, we found a way to simplify and put our own creative twist on it. So glad we did this, together! Thanks to Ralphs for giving us the chance to participate! You can too for the 25 days of Merry, get in on the action and check out more HERE!